The Resource Pool step of the wizard is only available if you have chosen to perform advanced failback. Select one or more VMs in the list and click Pool. 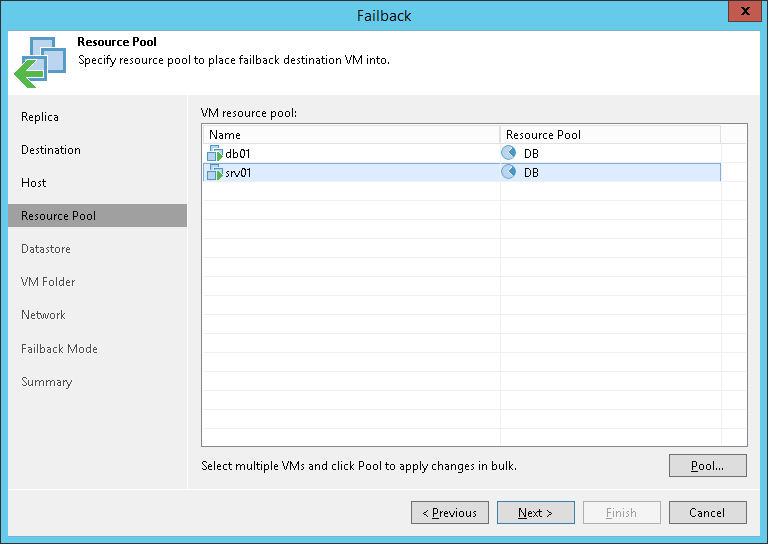 Choose a resource pool to which the selected VMs will belong. If necessary, you can also select a vApp to which the restored VM will be included. To facilitate selection, you can use the search field at the bottom of the window. Enter a resource pool name or a part of it and click the Start search button on the right or press [ENTER].